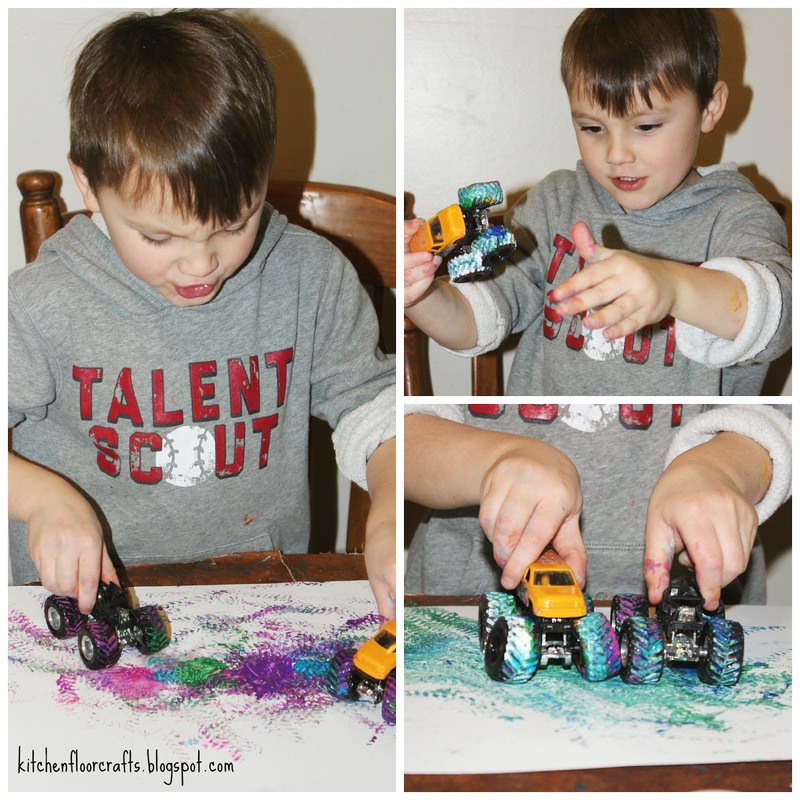 Monster Truck Painting has been one of our go to activities for quite a while now. 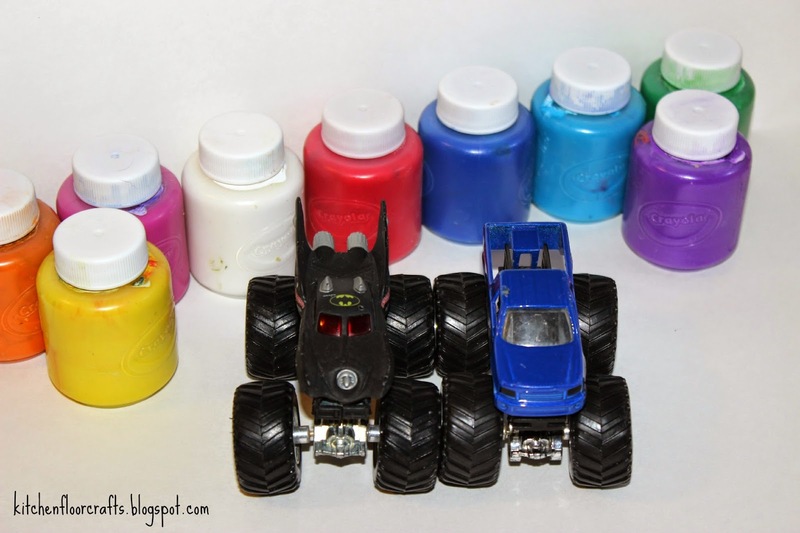 We car and truck painted quite a lot when Big Brother was a toddler, and around the time he turned three we discovered that the best way to create this kind of painting was with Monster Trucks. 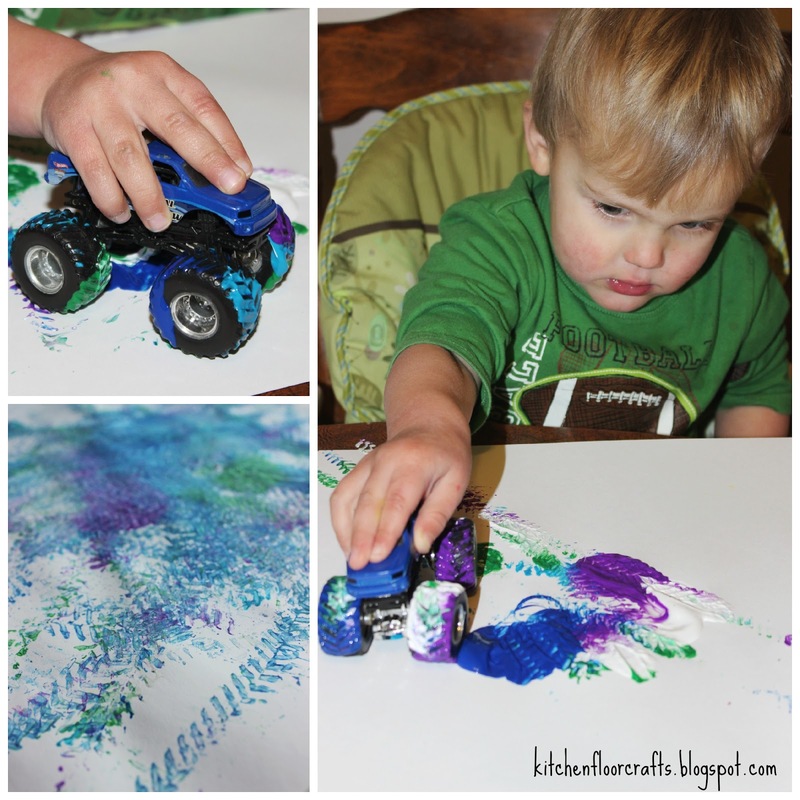 Monster Truck tires are perfect for this type of painting because they have a great tread on their tires, which make great prints when painting. 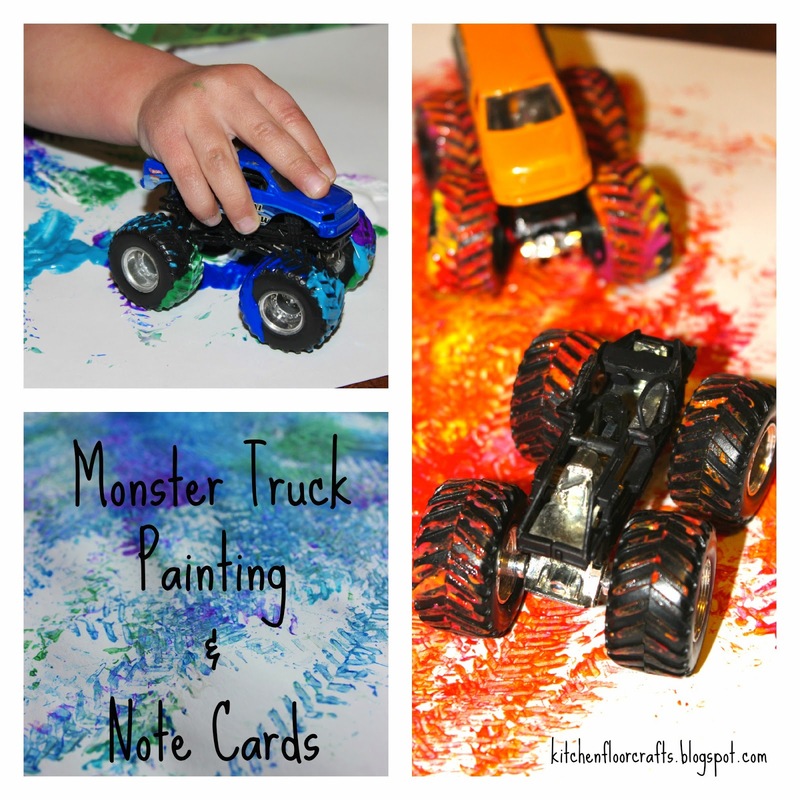 To set it up we use washable poster paint, small monster trucks, and white drawing paper. 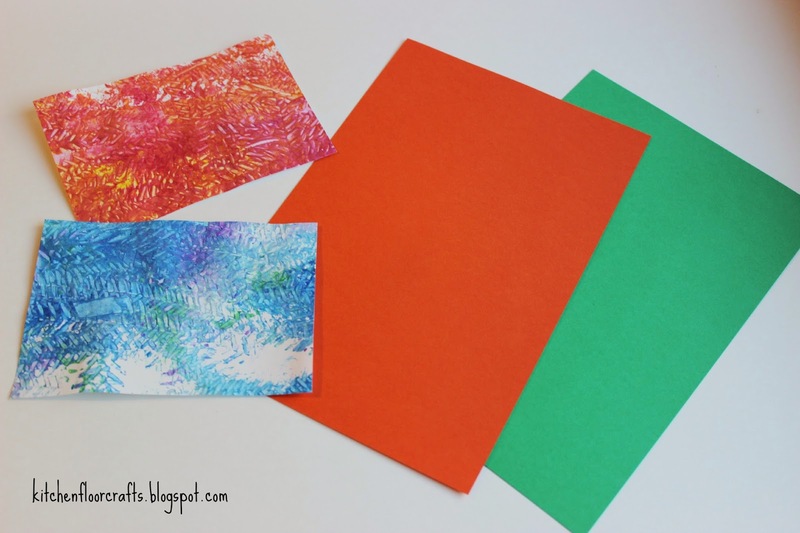 The boys choose the colors they want and we put a few dabs of each color onto the paper. Then the fun begins. The boys drive their trucks through the paint and all over the paper. We're always looking for projects that appeal to both of the boys' ages, and this is definitely one they both can equally take part in. With a little preplanning I can prompt the boys to choose colors which blend nicely together (instead of into a muddy gray or brown.) Afterwards, when the pictures are dry I cut the papers into 3.5 x 5 inch rectangles. I mount the rectangles onto colored card stock with a glue stick. 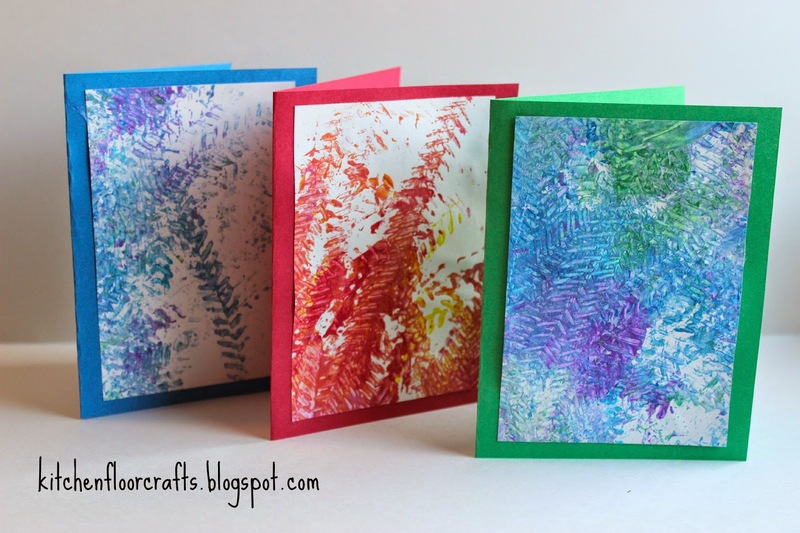 They make colorful and vibrant note cards, which can be used for lots of reasons. We just sent these out as some additional thank you cards for the holiday season. 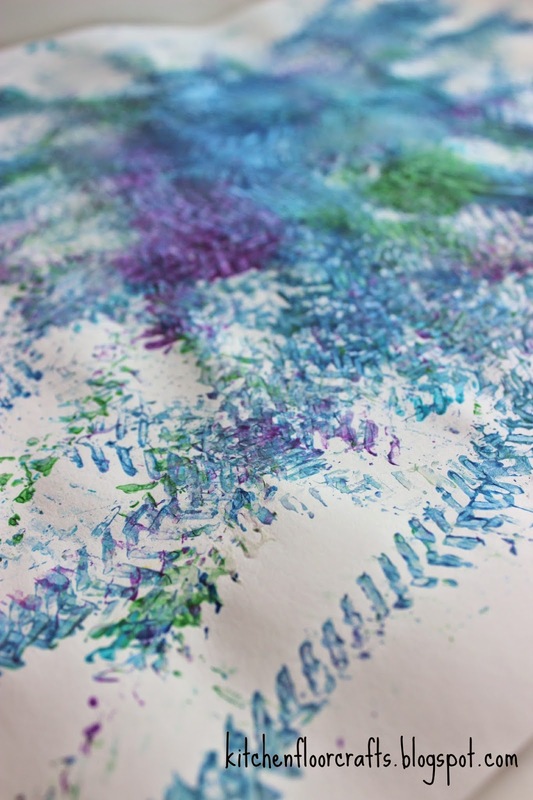 Do you have some little hands that would love trying this kind of painting? What other unique ways have you painted with kids?